Chris Brown is SWN's Favorite R&B/Pop Star of 2012. Brown has risen from the fire like a phoenix and continues to reign as the Prince of Hip-Hop/R&B. 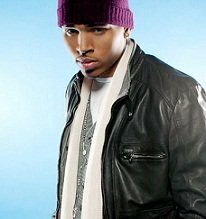 Chris Brown has not only shined with his own music but has become the go to guy for vocals and rhymes for collaborations. From Nicki Minaj, Brandy, Rihanna, Lil Twist, The Game and the list goes on and on--Brown has been making music magic with some of music's top artist. As Brown continue to soar high with music success he also has taken time to give back and help others with his Symphonic Love Foundation in Los Angeles. Brown told Extra this about his charity: “This organization I can hopefully build a music program for my town and where I am from and other inner cities.” His hope is to take his charity worldwide. For more information, visit SymphonicLoveFoundation.org. 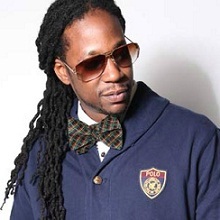 2 Chainz is SWN's Favorite Hip-Hop Star of 2012. The rapper has taken the Hip-Hop world by storm with his hit songs like 'Birthday Song' ft. Kanye West and 'No Lie' ft. Drake. The Georgia native has said that he wants to build his brand and become a respected mogul; well from the looks of things he is doing just that. Just last month 2 Chainz was featured in commercials for Beats Audio and Adidas, received Grammy nomination for Rap Album of the Year and is on the cover of The Source’s annual “Man Of The Year” issue. With a hit album and mega-hits 2 Chainz is most definitely putting his personal stamp on the world of Hip-Hop. 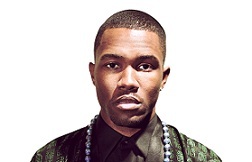 Frank Ocean's 'Channel Orange' is SWN's Favorite Album of the Year 2012. Ocean has been writing platinum hits for years for other artist like Beyonce, Justin Bieber, John Legand and Brandy. He now has step forward and written a master collection of soul/pop/jazz/hip-hop infused songs for his debut album 'Channel Orange'. With every beat and melody sung, you feel Frank Ocean's emotions pouring through the speaker. The album is certainly a perfect project to introduce to the world Frank Ocean. "Channel Orange' has also recently received 6 Grammy nominations including Best New Artist and Album of the Year. Carly Rae Jepsen's 'Call Me Maybe' is SWN's Favorite Song of the Year. The mega hit the #1 spot on the Billboard charts in June and quickly took over to become the hit song of the Summer. With over 355 million views on Youtube the song with the catchy chorus has fans even creating their own parody videos to join in the Call Me Maybe-mania including a well-known pop star Justin Bieber and his friends who helped put the spot-light on the song that was already heating up the air-waves in Canada. Carly Rae Jepsen is the next teen pop star to watch because her song writing skills and vocals are rocking. Psy 'Gangnam Style' is SWN's Favorite Video of 2012. The song has taken the world by storm with its hot banging beats and smooth chorus that has everyone singing along. Psy who is a South Korean musician has become 2012 top cross over star with his hit song and his dance moves have taken over the web. 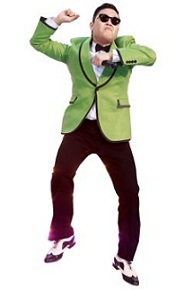 From kids, to teens, to grown folks-everyone is doing the Gangnam Style dance moves. You can see it done at the clubs, school dances, in parody videos and on TV. People have been mesmerized by the moves of GS. The video is the #1 video on Youtube with over 924 million views and rising. One Direction is SWN's Favorite New Artist/Group of 2012. The boys from across the pond have taken over the world with their amazing vocals and have become the top boy band of this generation. With two hit albums and mega hits like, 'What Makes You Beautiful', 'Live While We're Young' and more, The X Factor finalist have proven they do have the X Factor to be Pop Stars. Members Niall Horan, Zayn Malik, Liam Payne, Harry Styles and Louis Tomlinson are definitely teen sensations to watch. MacKenzie Porter is SWN's Favorite Rising Artist of 2012. The former Nashville North Star winner has gone on to open for Kenney Chesney and most recently performed along side country stars like Rascal Flatts, Carrie Underwood, Kenny Chesney and Miranda Lambert. Music isn't the only thing Porter is mastering. MacKenzie is also exercising her acting chops and has worked along side Patrick Swayze, Carmen Electra, Michael Madsen, Aidan Quinn, Jason Priestley, Kim Coates and many more. With several acting projects completed in 2012 and new music, MacKenzie Porter works hard to make her place in Hollywood and in Country Music. Megan Nicole is SWN's Favorite Youtube Star of 2012. The young singer has been winning over fans on Youtube with her covers of some of today's hit songs like Rihanna's 'You Da One' and Bruno Mars 'The Lazy Song'. With her very own original song 'B-e-a-utiful', Megan proves she has what it takes to be the next Pop Teen star. Mrs. Grapevine is SWN's Favorite Blog of 2012. The popular blog is the place to go to get all the juicy gossip about your favorite Celebrities. Mrs. Grapevine doesn't hold back with her opinion and has no problem keeping it real. The hosts of Cincinnality: Amanda Orlando, Dean Miuccio and Randi Douglas are SWN's Favorite Local TV Personalities of 2012. The hosts along with announcer Phil Brown and the Cincinnality Band make boring Sunday nights exciting and entertaining with their live "Talk Variety Music Show". Arin Ray is SWN's Favorite Local Talent of 2012. The young aspiring singer has inspired us all with his strong belief in his own talents and determination. Arin tried out for X Factor as a solo artist and was later in the competition put together with other contestants to create the group InTENsity. The group of teens were later eliminated but that did not stop Arin. The Cincinnati native decided to continue to fight for his dream and came back to X Factor again in 2012 to compete again. This go round Arin Ray made it to the finals as a solo artist and wowed America. Although he was eventually voted off, Arin Ray has proven he has what it takes to be the next platinum selling R&B star. 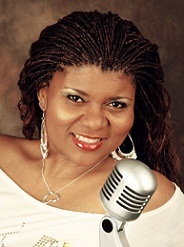 Faith Daniels is SWN's Favorite Radio Host/Duo/Team of 2012. Daniels has charmed the radio air-waves with her charisma and inspiration for years. The radio icon recently switched radio stations and is now entertaining us on 92.1 WROU. Daniels always makes our mid-day entertaining with the latest celebrity news, inspirational thoughts and all the favorite R&B and old school jams we love to listen to. Thanks Faith for always keeping real and never changing who you are.